Definitely Happy Birthday! 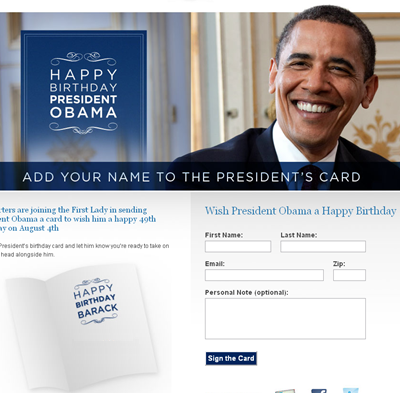 I wonder why Michelle isn't with him for his birthday instead of in Spain. Cloudia- Aloha to you, too. Kay- just between you and me, Michelle never received a single vote, or would she for first lady. "Now, I'm fully aware that that's just how the website works .... the donation page always appears. But you really should have disabled the donation page for the birthday occasion. Just letting you know. And it didn't bother me, myself."